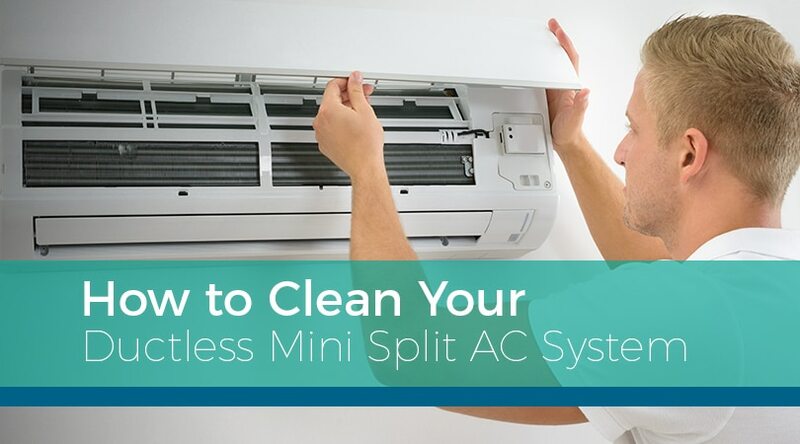 Your ductless mini split AC system will run most efficiently when you clean it properly. In addition to lowering your utility bills, proper care of the unit will ensure that it will run for many years to come. You will also provide higher quality air for you and your family with a well maintained ductless mini split AC system. A ductless mini split system will work better when you keep dust and debris from entering the internal components. To help with this, you will want to clean the outside of the unit clean on a regular basis. You can do this by wiping the unit with a damp cloth weekly or as needed. One of the main benefits of a ductless mini system is that they don’t require the same level of space as full-sized AC unit. However, you still want to give them some space to operate effectively. If you have a significant amount of furniture or other items near it, they will accumulate dust. This dust will then make it into the unit, making it harder to keep clean. It will also impact the efficiency of the AC system. When you’re ready to get into the more extensive cleaning aspects, you will want to shut the unit off to avoid damaging the system. There’s also the risk of electrocution if you keep it running while cleaning the interior components. Be sure to let it cool down for at least an hour before you start the cleaning process. You can also turn off the electrical current to your home to ensure you avoid an electric shock. There is a risk of a negative impact on your health if your AC system isn’t able to churn out clean air. This means you need to clean the filters periodically. The filters should be removed from within the unit and then gently washed cleaned with water. Gently wipe dirt and dust away from the filter area. The air quality and the efficiency of the system depend on cleaning the air filters periodically. The condenser and coil require regular cleaning as well. All sorts of dirt and debris can collect on the outside portion of the unit. Without cleaning this area, it can cause a significant amount of damage. All of the components should be off before you start to clean. Your garden hose will be suitable to use when spraying down the unit. Spray the coil from the inside out. The opposite direction the air flows. Ensure that the fins do not bend as you are spraying. If the fins bend, you will need to use an alignment comb to help them regain their original shape. Wipe away any remaining dust and debris by hand. Performing this step several times annually will help you avoid serious maintenance issues. It’s also a good idea to work with a professional who understands the various components of a ductless mini split AC system. 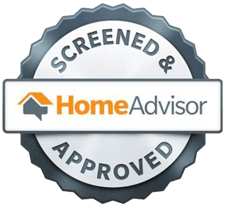 A licensed and insured company will be able to provide the care and maintenance of your system. If there is an issue that involves a deeper clean or a repair, the professional can take care of it for you. You will find that a clean system works significantly more efficiently than one with a full air filter. It doesn’t take long to clean the components. It’s also a good idea to schedule professional maintenance on your ductless mini split AC system at least once a year so that you can address any potential problems early on. Contact us at Ball Building Services to learn more about a ductless mini system as well as how to keep it in excellent condition. 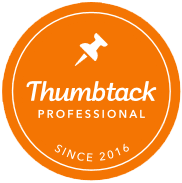 Regardless of whether your project is small or large, we’re here to assist throughout Tampa Bay and Central Florida.